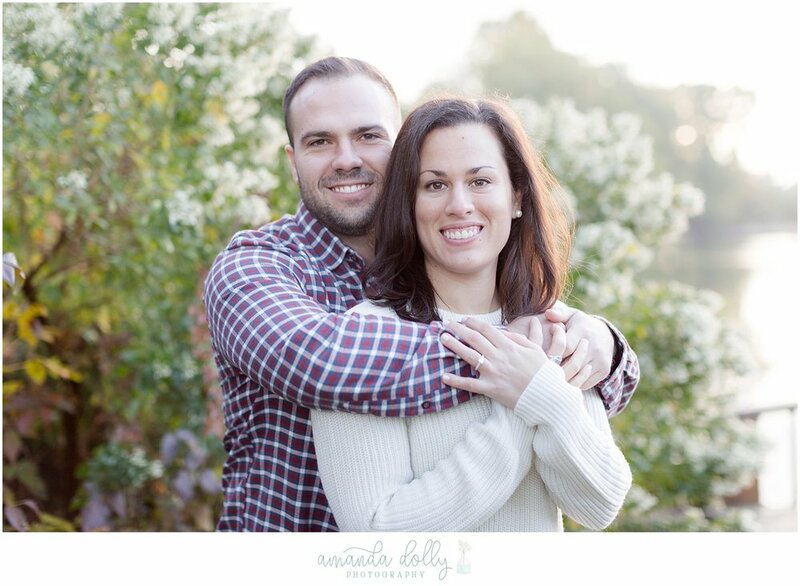 Once upon a Sunday morning Lauren + Drew woke up bright & early to meet me for their engagement session!!! It was a chilly fall morning until the sun popped out and gave us some warmth & beautiful light. Lauren + Drew’s outfits paired so well with the fall colors. 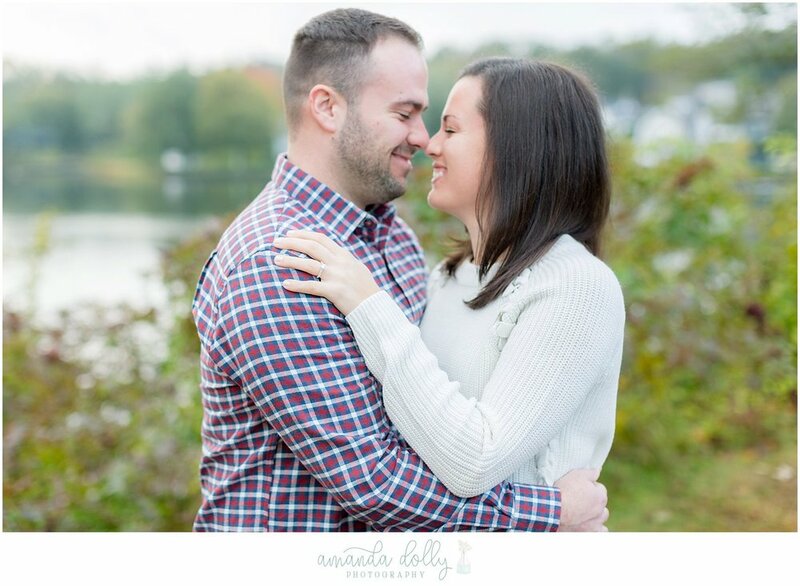 Lauren is from New Jersey and Drew is from Indiana- they’ve had long distance relationship for the past two years. These two are extremely sweet & I really enjoyed capturing their love and getting to know them more during our time together. We strolled around Hartshorne Park a bit, and then decided to walk down towards a little beach area. We got there at just the right time where the sun was bouncing off the water so beautifully! We expressed how glad we were to have been able to meet that day since Drew was flying back home that night! 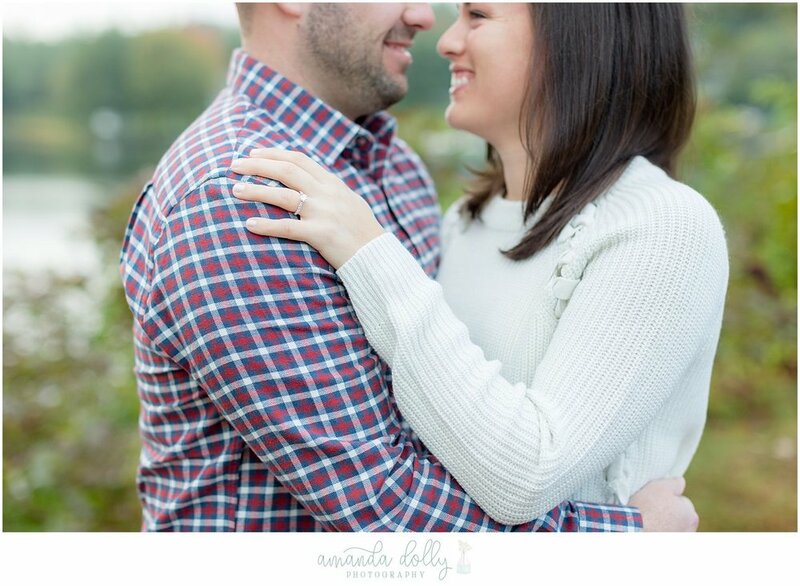 I’m so glad it worked out & I can’t wait to capture them on their wedding day this summer at The Ryland Inn! !